Nokia finally launched its ‘N1 Tablet‘ outside Asia; the UK and Ireland are the first countries to get their hands-on. It is priced at GBP219 (approx $342), and the stock will be available in the coming weeks. The company will be selling them through its NokiaShop UK, earlier to this the consumers from Europe and the US have to import it from Asia, where it is launched in China and Taiwan. If you think of Microsoft’s deal, Nokia does not operate the NokiaShop but a third-party reseller called Colourful (2018) Limited is actually beyond it and offers official support and assures warranty. Rumours also suggest that the company will also launch the N1 tablet in India and Indonesia. 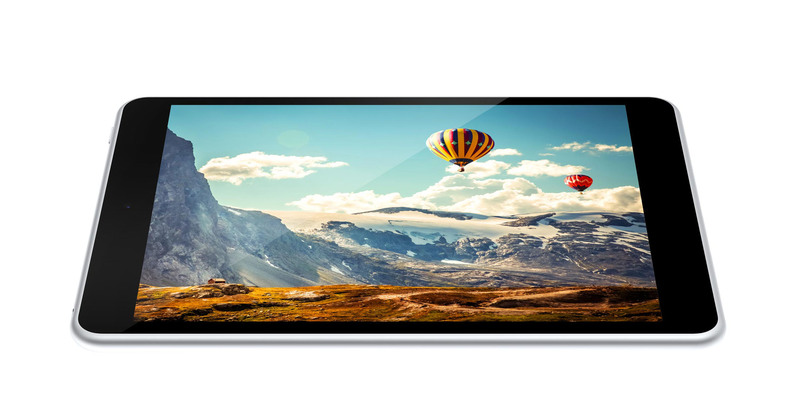 The 7.9-inch tablet device comes with the Gorilla Glass 3 protection and it has a 2048×1536 resolution, and it is a IPS panel with LED backlight. Nokia has also mentioned that it is a fully laminated zero air-gap display. What powers the Nokia N1 tablet is a 64-bit Intel Atom Processor Z3580, clocking at 2.3 GHz and there is 2GB LPDDR3 RAM. There is 32GB internal storage and PowerVR G6430 GPU powers the graphics output. The N1 tablet has a good camera combo, with an 8-megapixel rear camera and a 5-megapixel front-facing one, both having 1080p video recording capability. This is a one-piece design made using Aluminum with surface anodization (sandblasted for a satin finish). Nokia has managed to keep the thickness at 6.9mm, and still pack in, a 5300 mAh battery. Another great part about the tablet is the Android Lollipop OS, which would be running in it, with the Z Launcher. The Z launcher isn’t something new for Nokia fans, because the launcher was already available on the Play Store, and that is now even more polished to give a good experience for tablet users, and Nokia could get no better time than this, to bring the tablet device and launcher together. In the Z launcher, you can scribble a letter or two with your finger to bring up things around that, and that changes based on the usage. The apps are categorized based on what you need, when you need it. The Z Launcher is although available on Play Store, what you would see in the Nokia N1 tablet is a polished and exclusive version for Android Lollipop OS. The audio output is from the two 0.5 W stereo speakers. It is said to have an audio level of 90 dB, with the total harmonic distortion (THD) being lesser than 10%. The tablet has the MicroUSB 2.0 port with Type-C reversible connector. No information about the availability yet, the tablet is going to sell at $249. The Nokia N1 will be out with two color options – Natural Aluminum or Lava Gray. For the 8-inch size, the weight of 318 gm makes it light enough, compared to other tablet devices with similar screen size. No sharp edges can help in holding the tablet for a long time. The surprise announcement of an Android tablet from the company that seemed to have gone away from everything except the Windows Phone lineup, makes things exciting, especially after it comes out with the latest OS and some good specs. And that too, after Microsoft removed the Nokia branding and recently introduced the first Microsoft Lumia device.